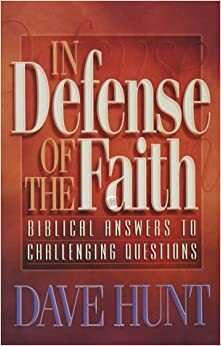 Question: The resurrection of Jesus is the very foundation of Christianity, yet those who wrote the gospels seem to be in conflict even on this most important subject! Matthew says an angel came down from heaven, rolled away the stone, and sat upon it. Mary Magdalene and the other Mary approached and were frightened. The angel told them not to be afraid, and invited them into the tomb to see where Jesus had lain (Matthew:28:1–6). • In contrast, Mark says that Mary Magdalene, Mary the mother of James, and Salome did not see the angel until they entered the tomb. The angel then pointed to where Jesus had lain (16:1–6). • In further contradiction, Luke says the women entered the tomb, and, as they looked for the body of Jesus, suddenly two angels appeared to them (Luke:24:1–4). Note also that Mark says his angel was sitting when he addressed the women, whereas Luke states that his two angels were standing (Mark:16:5; Luke:24:4). • One account says the women saw Jesus and then went to tell his disciples; another says Jesus met them on their way to tell the disciples (Matthew:28:9); and yet a third version says they “fled from the sepulchre” and didn’t tell anyone or see Jesus (Mark:16:8). The disciples were told that Jesus would meet them in Galilee (Matthew:28:7; Mark:16:7), yet Luke and John say He came to them in Jerusalem. What can you make of this hopeless tangle of contradictions? Response: Let’s go over the accounts more carefully, remembering that each of the gospel writers presents a condensed version of what happened. Not every movement and word of angels, the women, and disciples is recited in each gospel. Moreover, each account is told from a different perspective. First of all, Matthew does not say that the women saw the angel outside and he invited them in. That is nowhere stated in any of the four gospels. Matthew begins the story from the point of view of the Roman soldiers. He tells us that the military guard, seeing the angel roll the stone away and sit upon it, were terrified: They “did shake, and became as dead men” (28:4). They then fled to the city (28:11). Obviously, the soldiers had already gone, and the angel who rolled the stone away must have been inside by the time the women arrived to find the stone already rolled away from the sepulchre (Mark:16:4; Luke:24:2). We know that the soldiers could not have still been there and the angel still outside of the sepulchre and sitting on the stone, his “countenance . . . like lightning” (Matthew:28:3). Could anyone imagine such circumstances and these women having the courage to walk through a platoon of terrified soldiers and right up to the awesome angel to ask him where Jesus was? The invitation by Matthew’s angel, “Come see the place where the Lord lay,” is similar to Mark’s, “Behold the place where they laid him.” Both are compatible with directions from inside the tomb given to women who were cautiously peering in, then hesitantly entering. That one gospel refers specifically to one angel in a certain position (and is silent about the other angel in a different position) while the other mentions both angels is no contradiction at all but is simply the normal variation one would expect from two true accounts of the same event given from two different perspectives. As for the action taken by the women, no gospel says they saw Jesus before they went to call the disciples. Nor is there any contradiction in the fact that some women fled to their homes and others went to tell the disciples of the empty tomb. There were a number of women (“and certain others with them”— Luke:24:1; “and other women that were with them”—verse 10), not just the three named; and Mary Magdalene acted on her own and not as part of any group of women. She did not enter the tomb but immediately hurried to tell the disciples. The other women went into the tomb and saw the angels, who instructed them to tell the disciples He had risen. Some of the women fled in terror, while others went to tell the disciples, and on their way into the city Jesus met them. There is no “tangle of confusion” here at all. Mary had already alerted the disciples and returned with Peter and John to the grave (John:20:1–11). After they had seen that the grave was empty and went away wondering, she lingered there, confused and heartbroken, and that was when Jesus came to her. Some of the women returned to their homes, frightened and bewildered, and said nothing. Others of them went to tell the disciples. There is no conflict here at all but simply the normal differences in action that one would expect among a number of women. Nor is there any conflict between the instructions to go to Galilee and the fact that the disciples didn’t immediately pack up and go but were in an inner room in Jerusalem that evening when Christ appeared to them. Their reluctance to obey further commands from the One they had thought was the Messiah but no longer appeared to be, in spite of rumors of a resurrection, was understandable. There is no conflict whatsoever in the accounts.